OMG Posters! 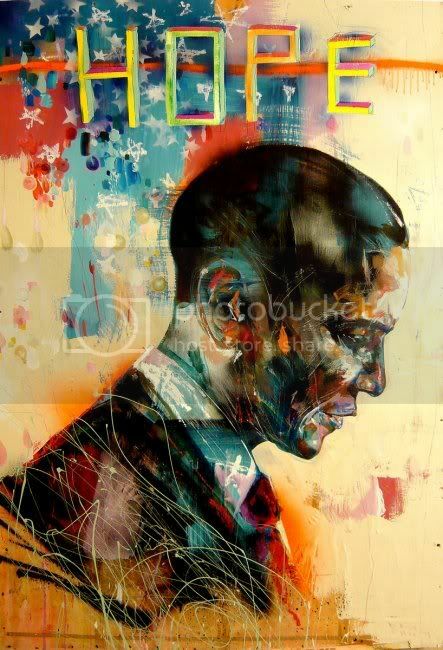 » Archive David Choe x Barack Obama Print (Part Two) - OMG Posters! Firstoff, I want to the thank my Lord and Saviour Jesus Christ for the UP policy of not charging cards before shipment. Secondoff, I want to thank eBay® for providing the opportunity for massive profit margins. Delta, you stopped being funny about three posts ago. One can only dream that these ubiquitous posters are nearing their end. Apparently, vacuity sells. This print’s really got people dreaming big. Whatever. It was still clever. Really wish I could have scored this print. Even tried calling shortly after the release, but no luck.